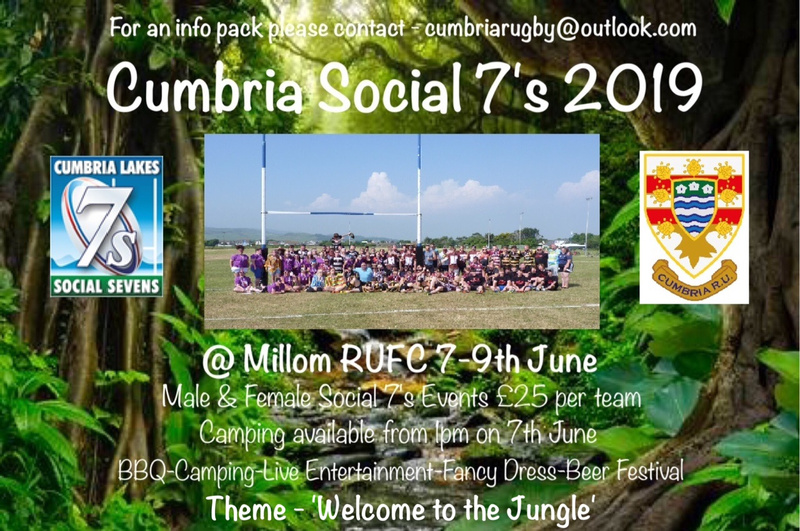 Be Part of the Cumbria Rugby Social 7's in 2019! The event provides a great experience for all with Camping available from Friday Lunchtime through to Sunday and beyond if required on a recognised site with all associated facilities. Entertainment and live TV sport will also be on offer throughout the weekend as well as the action on the field! This year the fancy dress theme is 'Welcome to the Jungle' so grab your best outfits to add to the occasion. The beer festival will run from midday on the Friday through to the Sunday afternoon in this popular event on the local circuit. BBQ & Food will be provided by the club and proceeds will go towards the Youth Section at Millom RUFC. Whether a group of friends, old school buddies, work colleagues, an individual who fancies a run out or any other descriptor, please come and get involved in this excellent event.